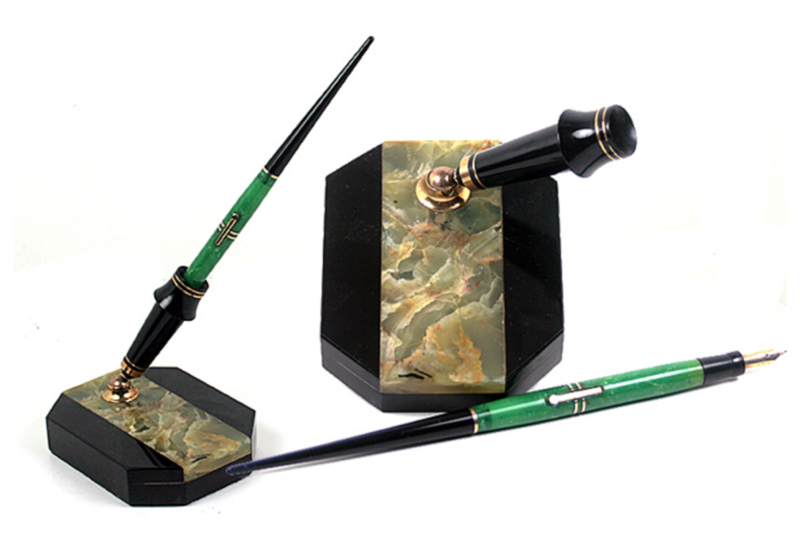 This 1927 Wahl Eversharp is a #2 Desk Set in Black & Green Onyx with Bronze and White veins. 3″ x 4″. 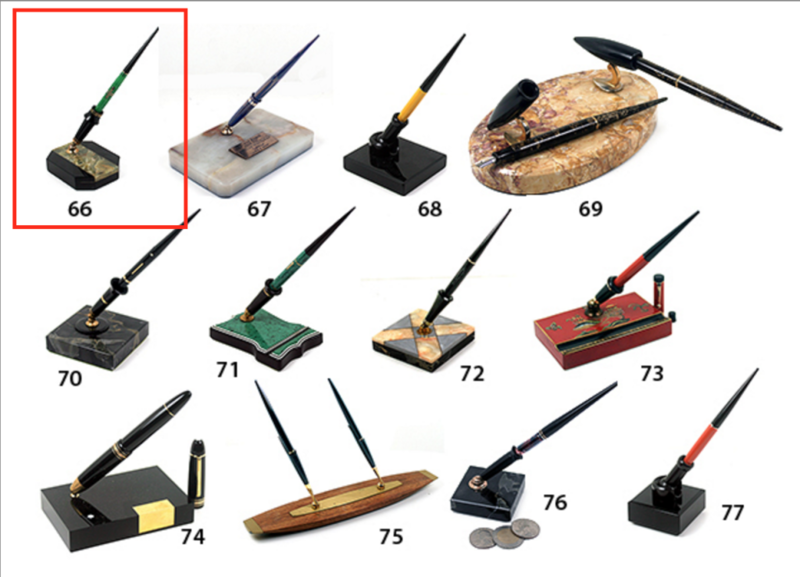 Jade lever-filler Pen with gold-filled trim and Black taper. Medium, manifold (stiff) nib. Near mint. This entry was posted in Vintage Pens and tagged Catalog, Catalogs, Wahl Eversharp. Bookmark the permalink. Follow any comments here with the RSS feed for this post. Post a comment or leave a trackback: Trackback URL.